These are the two Vietnamese words I know. 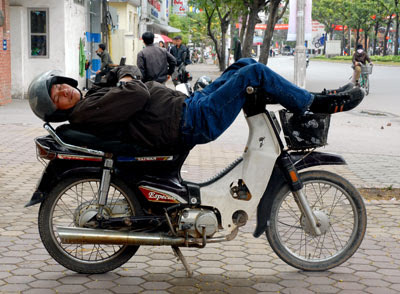 Xe Om - Motorbike taxi. Literally - Motorbike hug. The idea is that you jump on the back of a motorbike, hug the driver, and get him to take you and your live chicken to wherever you need to go. But doesn't this fellow look like he needs a cuddle? 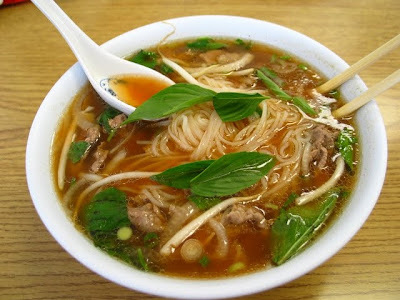 Pho - Vietnamese noodle soup. Using a kiwi accent, it's pronounced something like a cross between 'fa' as in 'father' and 'fu' as in 'fur'.